It’s Autumn, it’s October and the Roundup is back! Robbie Smedley at Red Rose Round 1. Photo David Belshaw. 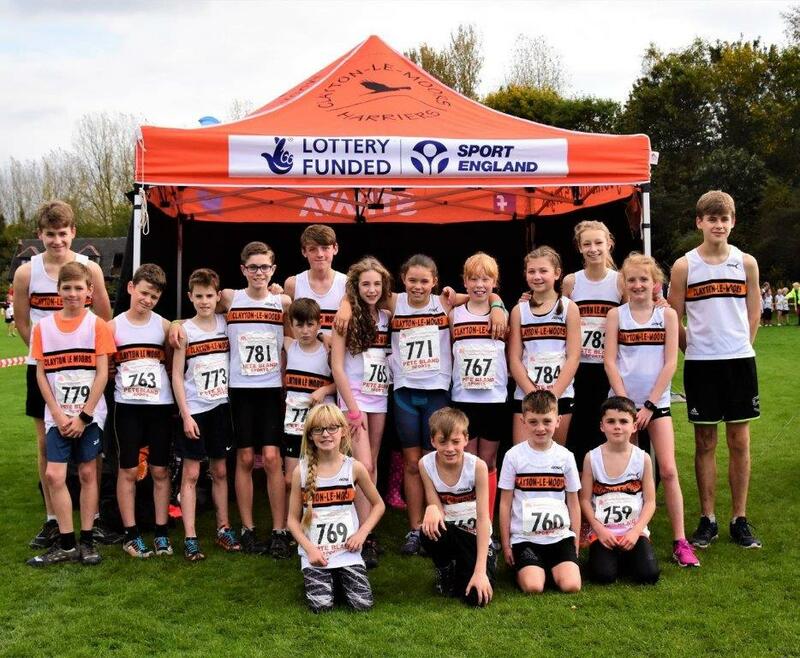 Welcome to the first of the new-look Clayton-le-Moors Harriers Roundups. As many of you will know, Adrienne Olszewska has stepped down as your Roundup editor having completed an incredible run of weekly Roundups over the past few years. 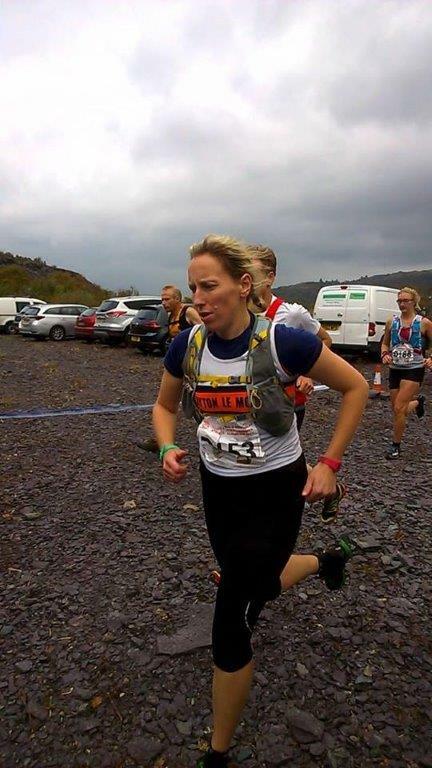 Having deputised on occasion for Adrienne when she has been away ultra-running, I can confirm the huge commitment she made for each weekly Roundup and along, with many others, wish to thank her once again for all her witty, insightful and entertaining writing and reporting over that time. In a shift away from the previous pattern of Roundups, your regular digest of all-things Clayton on the racing front will now come to you on a monthly basis, and will feature selected events off the Clayton calendar, including those where significant numbers of Clayton runners compete, team events and club championship races. Races and events that will be featured in the monthly Roundup will be publicised in advance and this is where you all come in. 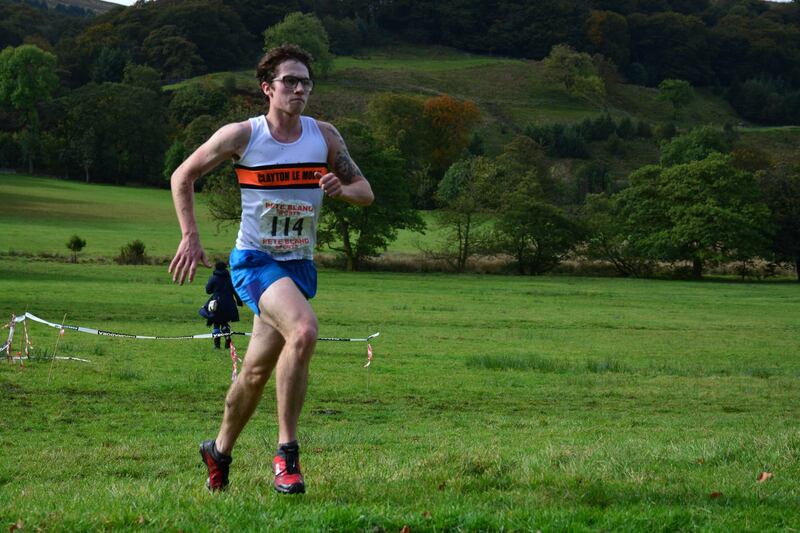 To keep the Roundup fresh and topical, it needs your input and insight in the form of your race reports and pictures. To send your reports for inclusion, simply use the ‘Contact the Roundup Editor’ form on the website or message through the Team Clayton FB page. This months Roundup is a little sparse as we transition to the new format but will hopefully build, with your input, into a bigger and more informative report on all things Clayton. Thank you in advance for your submissions. A long standing fixture on the fell calendar which saw some epic battles in the 80s and 90s, this local AS category race is currently organised by Pete Booth and is still a stern test of climbing ability with a very steep pull out of the valley before a longer more gradual climb to the trig point. Though the route has changed over the years, there is a still an exhilarating blast back to the finish field and the welcome sight of the pub. 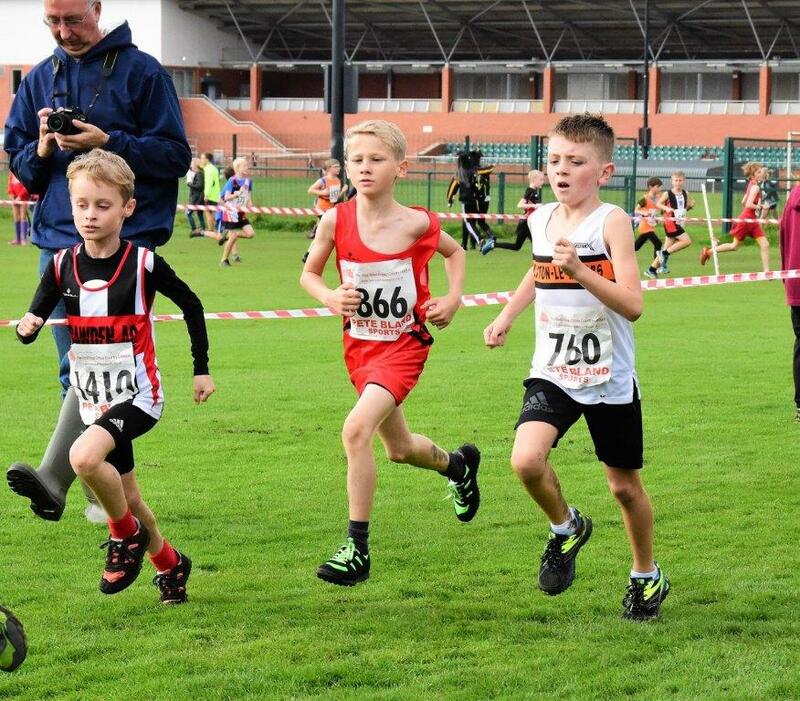 First Clayton boys and girls home were Charlie Barnes 1st in the U9 race and Ellisia Smedley 7th, Robbie Smedley 2nd in the U11 race and Helana White 8th, with William Nicholls 4th in the U13 race. 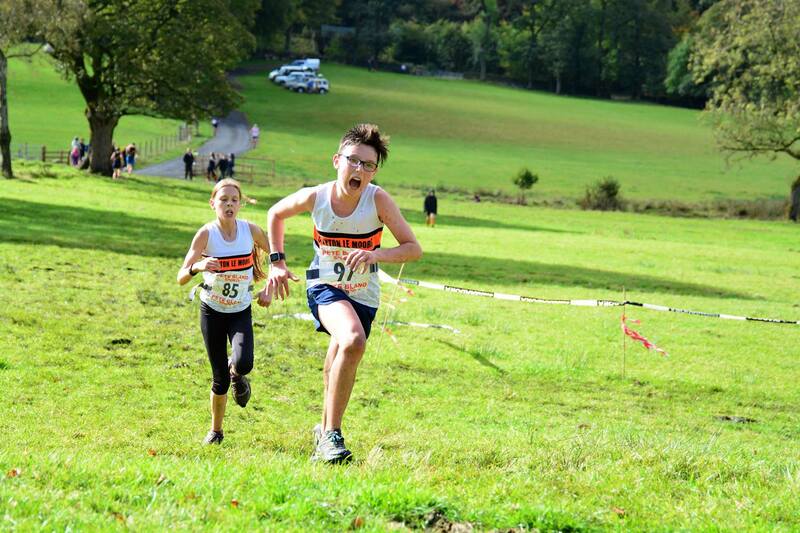 Josh Hall was 1st in the U15 race (13th overall) and Sophie Ashworth 7th, both running the full race distance. 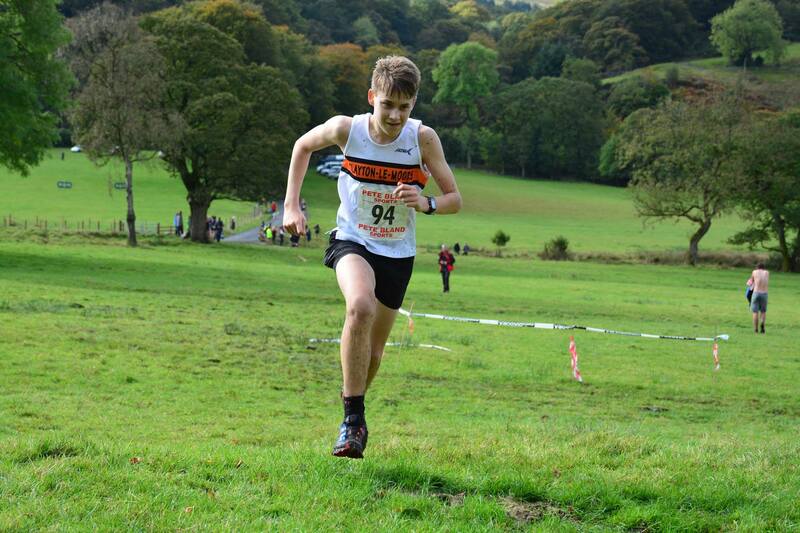 Special mention too to Peter Stevens who had a great race to take 2nd behind Josh, having only run a handful of fell races previously. The full distance senior race was won by Andrew Worster of Todmorden Harriers in 36:33 and George Pier found some form of old and had a cracking run to take 8th and the honour of first Clayton runner home. George Pier looking determined. Photo David Belshaw. The ‘Hodgson Brothers Mountain Relay’ started life as the ‘Ian Hodgson Mountain Relay’ and takes place in the heart of the Lake District Fells. Usually around 70 teams from across the country compete in what is the longest-running mountain relay in the country. The race is a tough one, with 4 legs each throwing up their separate challenges, including hard climbs and steep descents on difficult terrain. The route requires careful navigation, especially in bad weather. Which the 2017 edition had in abundance, with significant route changes at the last minute affecting all legs in order to minimise the risk from gales and heavy rain on the tops throughout the event. Clayton sent 3 full teams, an Open team, a Vets and a Ladies team.The Senior Team were 23rd out of 69 teams, the Vets 25th and 6th Vet team, and the Ladies 64th and 7th Ladies team. It was a wet windy day as the team made its way to Patterdale. The course had been shorten and changed due to the weather with all 4 routes staying on the east side of the valley. The main changes were that leg 2 was shorten with the major climb up to High Street taken out and leg 3 and 4 were 2 and 1 in reverse..
Leg 1 was led out by Wendy Dodds (9 weeks after breaking her ankle) & Anna Kelly as they left the field from Patterdale in the only bit of dry weather that day! This soon changed as they hit the fells and the heavens opened. Both ladies made good ground over the tops and gave the team a good start as they dropped down into Hartsop to pass the baton onto Alison Dugdale and Tara Robb for leg 2. As Alison and Tara made their way up to Kirkstone Pass the visibility became poor as they carried on with a good pace. They made good choices to find the checkpoints before descending out of the mist to pass onto Jean Brown and Claire Vincent waiting in the pouring rain at Kirkstone. Good route choices again by Jean and Claire as the found the reverse checkpoints in atrocious weather. Before the tricky decent back down to Hartsop and the cloud line before passing the baton onto Linda Bostock and Katy Thompson. Linda and Katy climbed back over Angle Tarn before retracing the route back to Patterdale. All the ladies did really well in tough conditions, poor visibility and sudden alternative route changes. A big thank you to all who ran and well done. 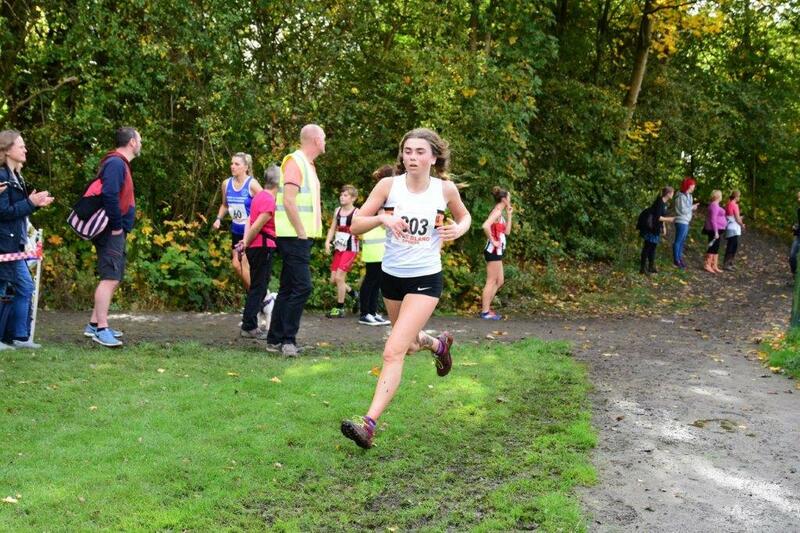 On an impressive note Wendy Dodds has completed a total of 30 Hodgson Relays and in the words of Anna Kelly “she is a machine”, hopefully there will be many more to come. A great achievement. 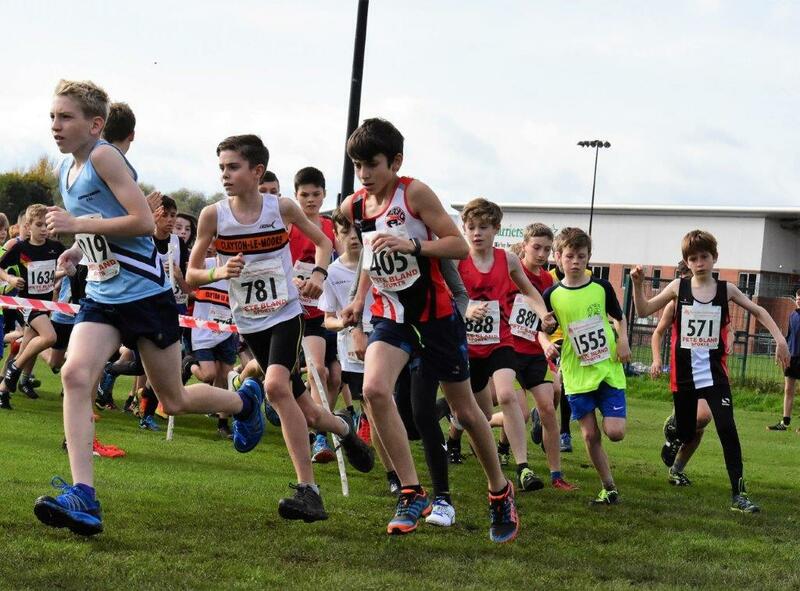 A clash of fixtures with the first Mid Lancs Series race saw the Clayton Juniors starting their cross-country season en masse at the first Red Rose race at Leigh Sports Village. 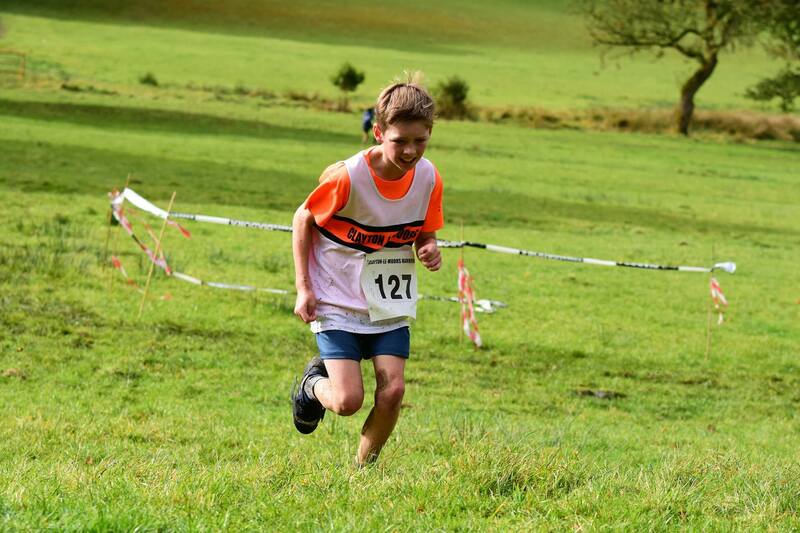 A mixture of more experienced runners and some Juniors new to cross-country saw Clayton pack out the placings with great runs from all the Juniors in almost unseasonally warm conditions. Charlie Barnes. Photo David Belshaw. Harrison Codd. Photo David Belshaw. Millie Stubbs. Photo David Belshaw. A handful of Seniors also ran at Leigh whilst the bulk of the Senior/Vets and Ladies were over at Cuerden for the Mid Lancs racing. 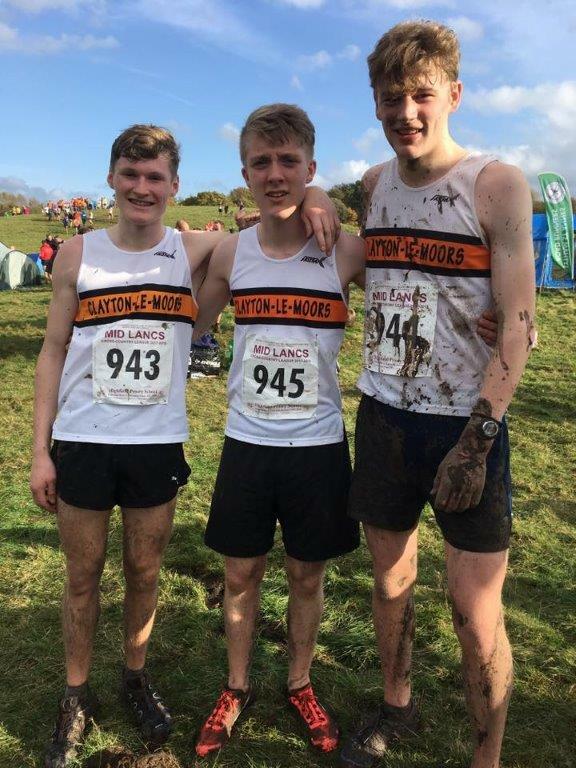 The Clayton Senior cross country runners, supported by a few Juniors made their way over to Cuerden Country Park for Round 1, and in contrast to Leigh looked they instantly found some good mud. 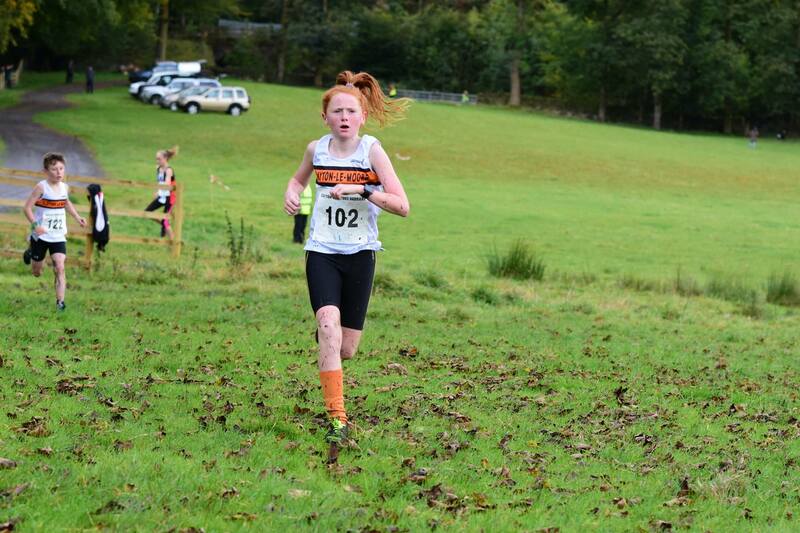 Performances of note included Briony Holt taking 2nd place in the U17G race, the Ladies teams taking 6th overall, 4th in the O45 and 2nd in the O55 team competitions. The Senior Mens team was 5th and the U20s were 2nd with the Vets O40 team 3rd and O50 team 2nd overall. 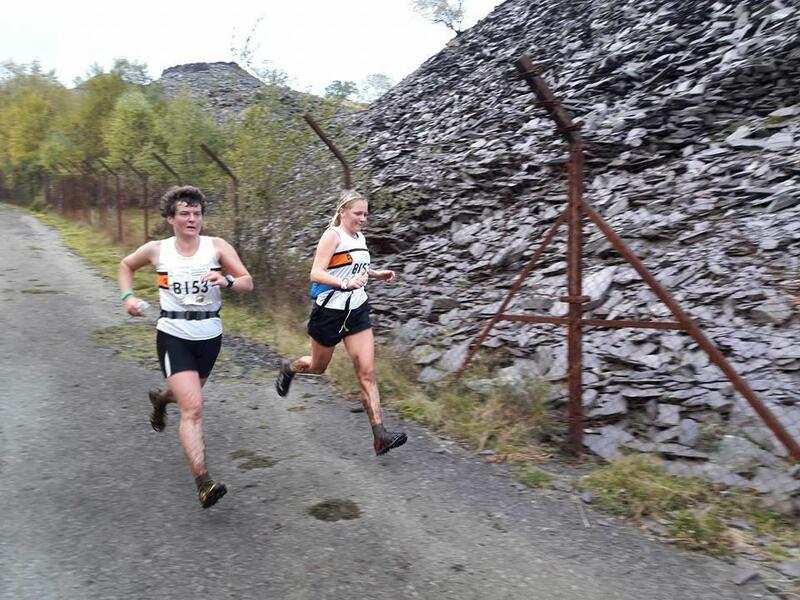 With somewhat kinder weather than for the Hodgson Relays a couple of weeks previous, Clayton sent 3 teams down to Llanberis for the British Relay Champs. 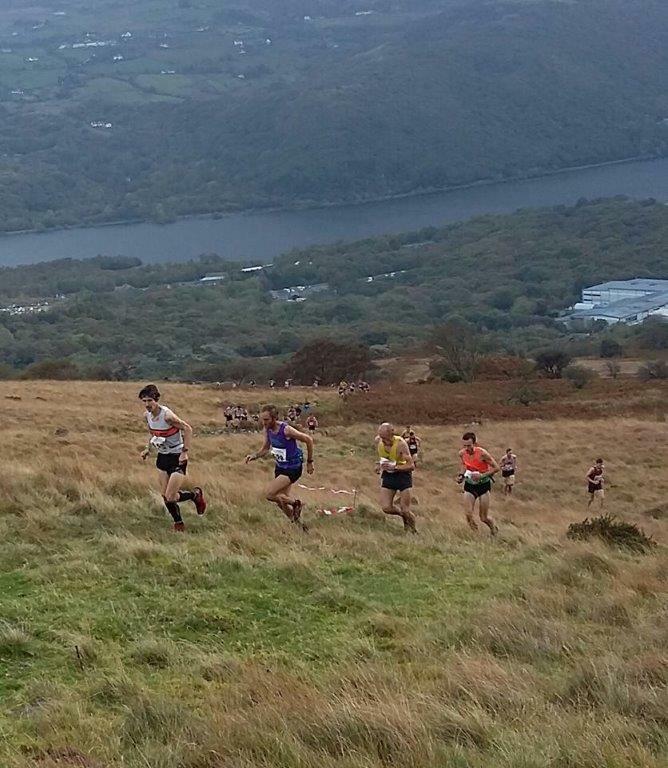 The Relays were won by Dark Peak Fell Runners with 176 teams competing. Our A Team of Chris Holdsworth, Matt Perry, Andrew Laycock, Andrew Payne, Dave Walker, and Dave Motley as16th, the B Team of David Bagot, Carl Helliwell, Peter Coates, Russell Clarke, George Pier, and Chris Snell was 68th and the Ladies team of Claire Vincent, Tara Robb, Jean Brown, Wendy Dodds, Katy Thompson and Sarah Helliwell were 137th and 20th overall in their class. Jean Brown and Tara Robb. Photo Sarah Helliwell. 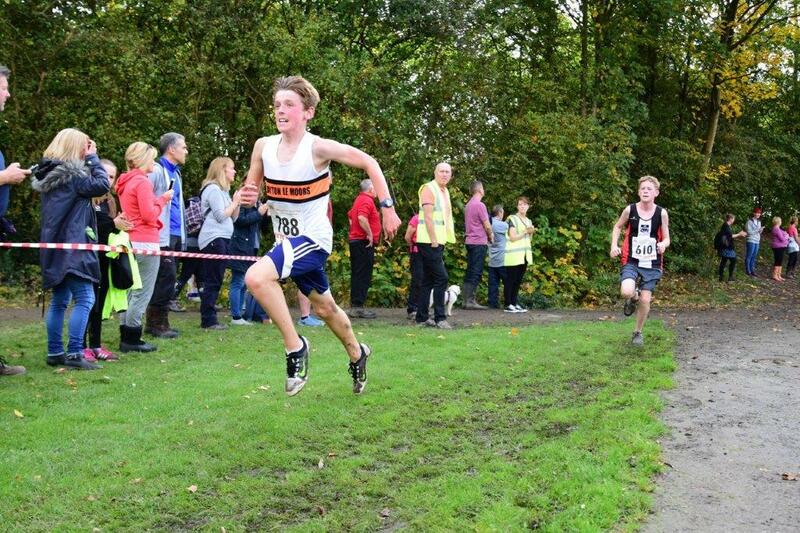 This entry was posted in Juniors, Other News, Roundup, Seniors Cross Country, Seniors Fell by Alan Dorrington. Bookmark the permalink.